Reasons for preferring a wind generator  economics is not the main driving force; ease of repair and reliability are important values. Electrical equipment - light for people and TV are most important; light for animals was also regarded as important, although only needed for a couple of months during Lambing. General equipment - items for economic activities (e.g. fencing, transport) are more important than electrical items. Energy availability  remarkable agreement with figures based on measured data from a wind farm site in Inner Mongolia shows that herdsmen are well aware of the performance of systems, and indicates how important they are. The scale of use of small wind generators in Northern China is unlike any other location on earth. 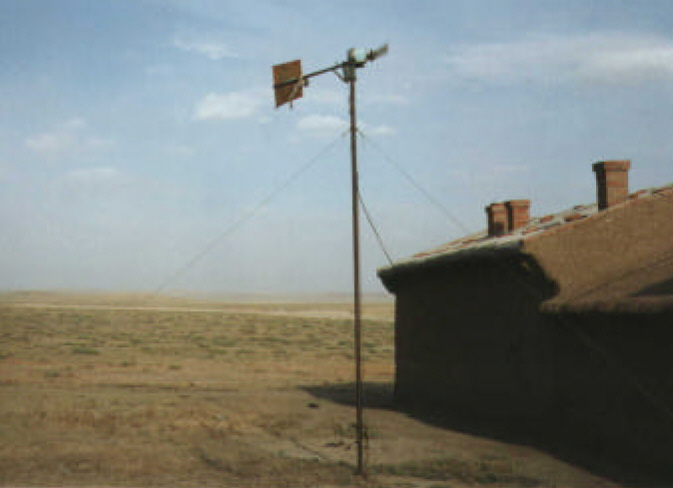 Over 130,000 stand alone, small wind generators are being used by nomadic people. A typical small system (100 W wind generator) provides electricity for lighting, TV and radio (130 kWh/a. ).Whilst it has been assumed that the impact of such generators is beneficial - the numbers involved would seem to indicate so - no objective study has been carried out and there is much the world could learn. Furthermore, there is little published information on the processes of dissemination used by the Chinese. It is expected that many of the lessons from this project will be of use to those planning programmes including any element of technology transfer e.g. multilateral climate change initiatives.